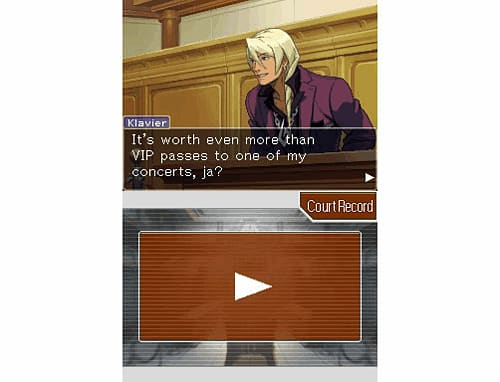 Apollo Justice: Ace Attorney players star as rookie defense attorney Apollo Justice as he collects the evidence and takes on genius prosecutor Klavier Gavin and untrustworthy witnesses to prove his clients’ innocence. 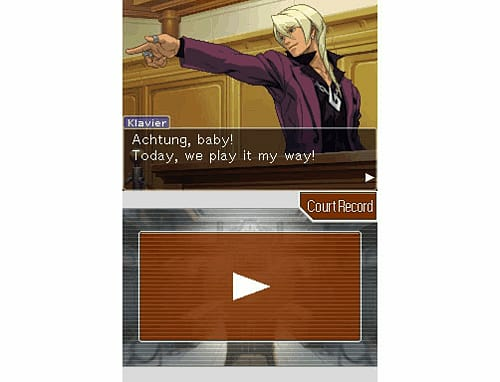 Apollo Justice: Ace Attorney players star as rookie defense attorney Apollo Justice as he collects the evidence and takes on genius prosecutor Klavier Gavin and untrustworthy witnesses to prove his clients’ innocence. 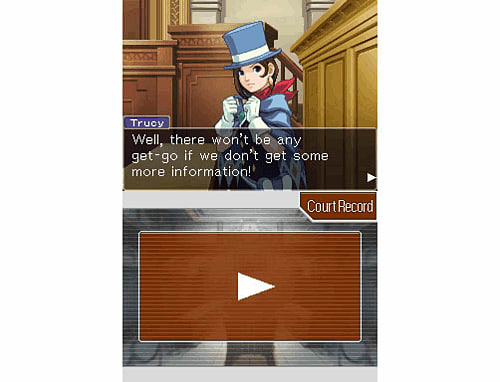 In Apollo Justice: Ace Attorney, Apollo is supported by a mysterious female magician, Trucy and the advice of his mentor, Kristoph Gavin. 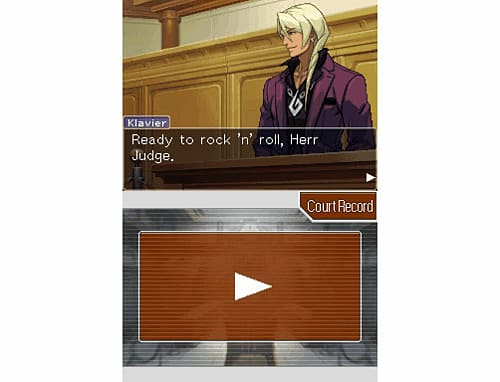 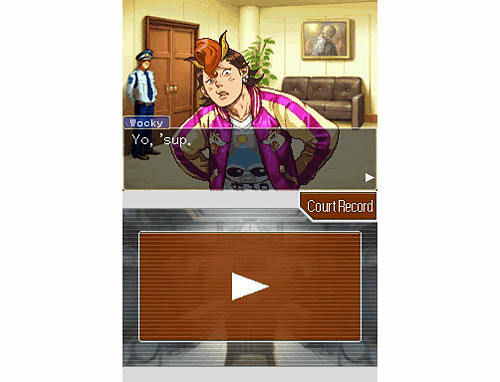 Apollo Justice may be young and lack experience but his confident manner and passion are invaluable assets in the courtroom as is his unique ability to uncover witnesses’ lies by studying their body language. 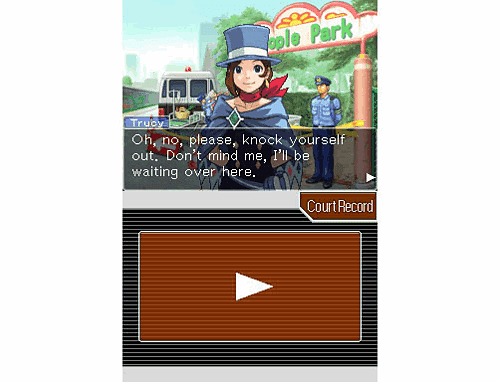 DS Exclusive: Apollo Justice: Ace Attorney is the first fully new title in the series to be developed specifically for the Nintendo DS. 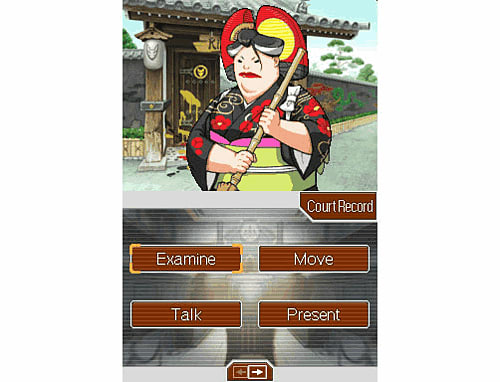 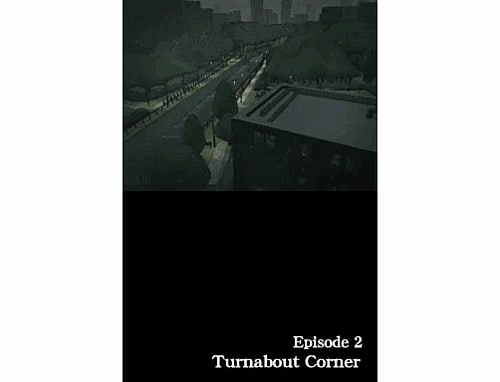 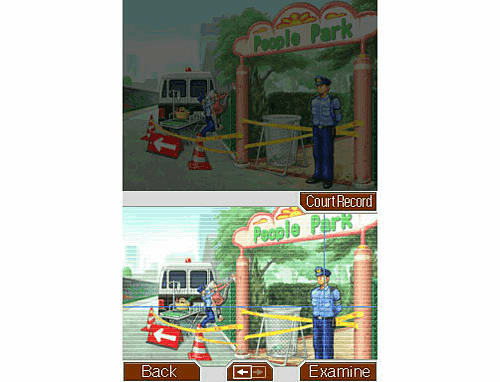 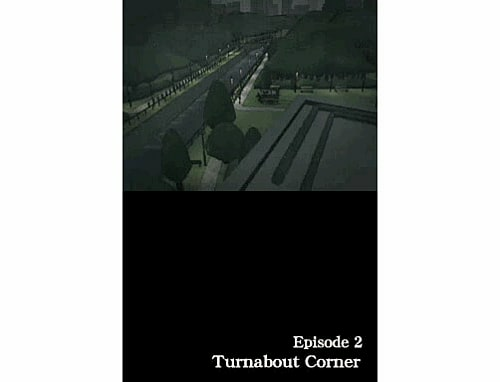 Investigation phase: Survey crime scenes, interview witnesses and gather evidence in Apollo Justice: Ace Attorney that will be used in court. 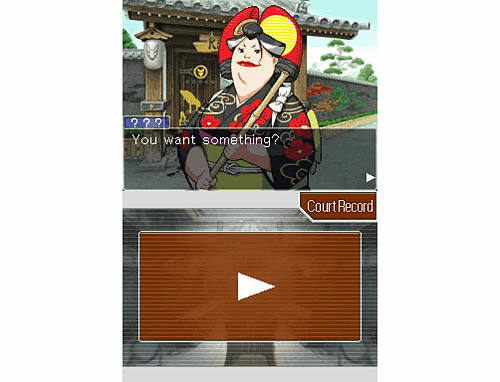 Court phase: Apollo Justice: Ace Attorney sees you present findings from the investigation to support your case, listen to testimonies and examine witnesses.